There seems to be a lot of confusion among parts houses on the seal for the front driveshafts into the differential. I don't have the Toy OE number (probably bigga bucks), but here is the Beck-Arnley number - and a picture. Note that it some parts places show it as NOT having a lip - that is NOT correct. that is not the correct seal, that is used somewhere else on the trans, it would not fit. 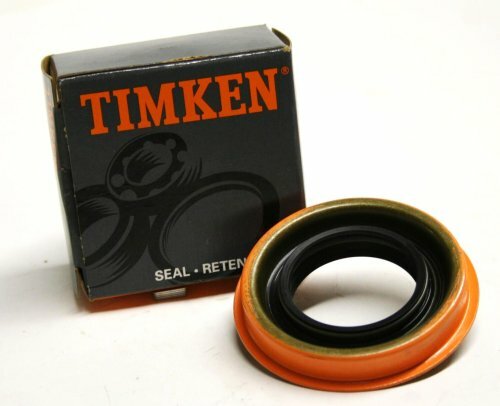 Timken uses a plain seal without the dust rib shown on the face of the seal in the picture above. It fits dimensionally but without that rib dirt and small stones will get under the metal dust shield on the cv axles and slowly grind it away. so the timkin one likely would not last as long. find one that has that dust rib like the beck-arnly one. That's what I thought. All the ones labeled "automatic transmission front output seal" were actually the 223240 one. I'll try the manual transmission one and see how it matches up.